Did you know the average person may spend more than 26 years of their life sleeping? Oura says that’s 26 years well spent. Getting enough restorative sleep helps people to manage weight, stay healthier for longer, perform at your best and be more productive. Together with the ring, the Oura app helps users improve their sleep and reach their goals – whether they’re looking to be more productive at work, optimize recovery to reach peak performance or bring more balance into their life. What the ring learns during the the day and at night, the app delivers the next morning as daily insights and guidance. The Oura Ring is a piece of wearable technology that passes off as jewellery at a glance. The first version of Oura ring designed by Harri Koskinen, his design team and Kari Kivelä launched to consumers through Kickstarter gathered over 650,000 USD in 2015, won several industry awards, including CES 2016 Best of Innovation and earned the company millions in seed funding. The second, a remarkably smaller 2nd generation version with improved battery life, launched for pre-orders at Slush 2017 and quickly reached nearly 20,000 preorders. While the pre-orders kept pouring in, the renewal of the app started early in January 2018. The team set out to elevate the app experience in addition to bringing design thinking and setting processes into the product itself. While the ring works in the background, computing data that is complex and layered comprising of multiple body function metrics, the app is what translates that data—making complex things simple and guiding users to achieve their goals. The first version of the Oura app had a closed group of users, mainly early-adopters who weren’t afraid of sporting a big shiny-ring or for that matter even biohackers who helped test the limits of the wearable. The 2nd generation ring was however targeted for a wider range of audience and the app and how it delivers data needed to become accessible to anyone. This was the key consideration for the app renewal. The team was set to figure the experience that would put digestible insights to the foreground, raw data to the background and speak the visual language of a premium product. Oura measures the variability of our physiology and the stages of sleep very accurately. Sleep habits, heart rate and heart rate variability (HRV) are measured directly from the finger’s palmar arteries, the most precise way to do it. The direction and intensity of body movement throughout the night are tracked with a 3D accelerometer and gyroscope and body temperature variation through 3 NTC temperature sensors, providing the most precise sleep performance technology there is. The magic of the application is that through this advanced technology, it sorts data into three key well-being categories that tell the user how well they slept, how active they were and how ready they’re to take on the day. After a few weeks, Oura starts calibrating to you through machine learning—the longer you wear the ring the more accurate this will get. Your optimal bedtime is based on your personal sleep patterns and physiological responses tracked over weeks and months. Immediately when in use, the ring will tell you detailed insights on your sleep quality, sleep stages (deep, light, REM and awake time), sleep rhythms and long-term sleep trends. Oura will also give you actionable insights and guidance for improving your sleep quality and aligning your lifestyle to your own circadian rhythm—when​ ​we should​ ​sleep,​ ​eat,​ ​rest​ ​and​ ​move.​ Timing is everything. Unlike the majority of the wearables out there, Oura is not an activity tracker. Instead, Oura does give you personal activity goal that calibrates daily based on your recovery status and readiness to perform. The ring tracks your overall daily movement and exercise, steps, calorie burn, and get insights for balancing your training and recovery, and keeps track of your sedentary time so you’ll get notified when it’s time to get up and move. Your daily readiness score helps you learn to identify days that are ideal for challenging yourself, and those that are better for taking it easy. This is based on multiple readings such as changes and trends in your night-time resting heart rate and heart rate variability, and continuous night-time body temperature tracking. By tracking your long-term data regarding your sleep, recovery and activity, Oura guides you to find and maintain a lifestyle that suits your daily rhythms, helping you feel energetic every day. Now that much has been said already about the product, it’s time to turn the spotlight towards the team and ways of working. The industrial design and engineering of the ring, native app-development for iOS and Android, data-analysis of the vast layers of data and decoding the science of sleep—all of this happens in-house—by an award winning team of entrepreneurs, engineers, programmers, data-scientists and more. The app-renewal started during early 2018. Oura is a growth company, and also building an internal design capability. Thus it was important for us to work as one team from the get-go, and overcome the challenge of several operational locations by using remote tools such as Slack for fluent real-time communications and iteration. At first, everything was explored and discussed quite freely and asynchronously, and quite quickly we moved towards very rapid prototyping and testing of ideas—either in static flows on Invision, high-fidelity motion demos on Principle app or directly deployed realtime in the beta app. Broadly, the app renewal happened in two phases—the first phase on designing our hypothesis for bringing the concepts of moments and timeline to life, and the second—to actually put those to test with our users and community and improve upon them. As the team building the app has seen their share of success stories before, we set the bar really high from the get-go. We wanted to design something both world class and at the same time unique, pushing the genre forward. After weeks of exploration, we choose a style that both complemented the existing brand and the physical materials and properties of the ring, without being too much of a skeuomorph imitation of precious materials. Basic visual style on dark baseline tone not only complements the Oura brand and the context of night time / morning use, but also looks absolutely beautiful on high resolution phone displays when carefully accented with select accent colours. As a result, we defined an evolving visual-language with improved typography, accessibility and even commissioned a new set of modern Oura-icons. Overall driver for everything we did was simplicity of the narration itself: there are times when you want to drill down into trends and graphs about your health but that time usually isn’t when you wake up. Therefore we came up with the concept of “moments” — a few beautiful, simple key screens user sees when she first opens the app in the morning. One thing, idea or a tip at the time. No more no less, and you are free to start your day a bit better. In addition, we wanted to bring the circadian rhythm and quite literally the beautiful start and calm end of your day visible in the app: that is why the timeline subtly starts with a morning sun and end into a starry sky. Further, we improved the interaction and motion language for the app through constant prototyping to test and validate our outcomes. During this phase, we embedded certain best-practices for designing and developing for the future and setting up an evolving Design language system. This is a really simple set-up for an app, which feels almost too basic at first. But it’s cleverly designed so at a first glance you get the essentials, then you can learn more and more as you click through the categories and can take a deeper look at the bar charts, graphs and explanations for how you’re doing. All in all it’s a fantastic app experience and really smart to focus on doing three things extremely well. Readiness, Sleep or Activity tabs—for anyone interested in the minutest details. From the day one of the new app launch, Oura has had a very engaged user community with not only loads of enthusiasm and love towards the product, but also valuable insights on how to keep on improving. 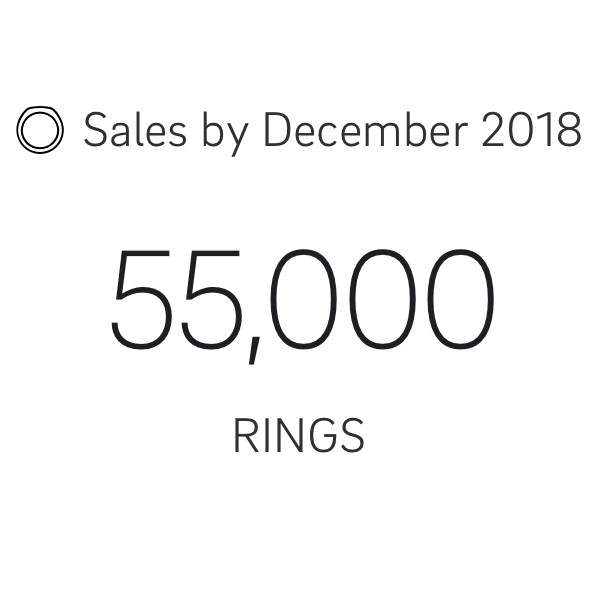 The way the community welcomed the new ring and the app, exceeded expectations, and as startups are essentially ongoing experiments, the team was eager to include the ring users into the design process. Gathering of user insights and new ideas started right after the new app was out. The team was seeking to understand the needs and pain points on two key dimensions: app usability and value of the ring to app synergy. In face-to-face sessions the users described their understanding of the app content, if the features are easy to use, and what they would like to see done differently. To identify long term potential and deepen the understanding on how people use technology to improve their well-being, the team also sourced people who use competitors’ products. Based on the insights gathered Oura has since launched the new and improved homepage, interaction model and daily insights with more personal depth. 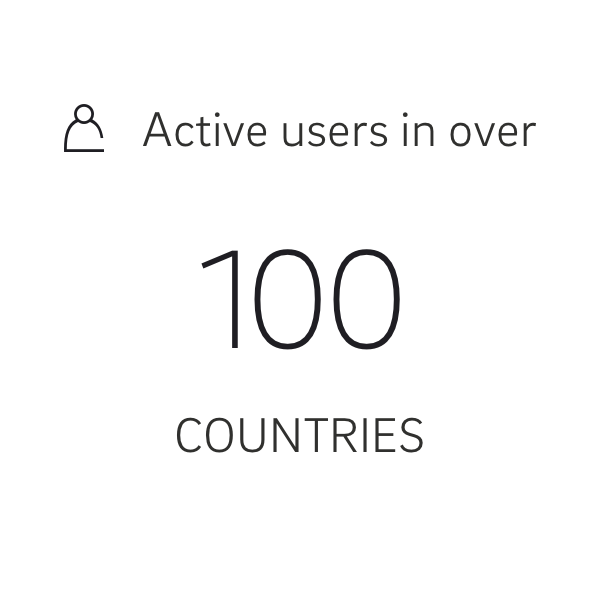 Today Oura has made it a habit to talk to users across the globe on a weekly basis. To be close to their everyday life and enable direct participation to the app design, there’s now a beta testing program in place, where volunteers get to try out and comment on upcoming features and improvements before they are released to a wider audience. The idea is not to solve everything at once, but learn one piece at a time the signals on which path is the right one to go. How they fit all this tech into such a sleek design is beyond me, but it’s in there, and you have to admit it is pretty cool. Got goals? Oura can help you get there. With products like the Oura ring and the Oura app, we can start to unlock the secrets of our nights of rest. The Oura ring is used by entrepreneurs, technologists, biohackers and health professionals around the world. The early Oura adopters are known to track their sleep against diets, meditation, bedtime, activity and even the amount of blue light and screen time during the day. Oura has been used even as wedding bands. Dr. Peter H. Diamandis, whose achievements include Founder and Executive Chairman of the XPRIZE Foundation, Executive Founder of the Singularity University and the Co-Founder and Vice- Chairman of Human Longevity Inc. (HLI), is a long-term user of the first-generation Oura ring. By December 2018, Oura is now shipping in over 100 countries, enabling more people to join the Oura community. The company has raised $20 million to date. Its latest investment round was led by ​MSD Capital ​(Michael Dell) and joined by ​Steve Chen,​ the co-founder of ​YouTube,​ Kevin Lin​, the co-founder of ​Twitch,​ ​Dave Morin​, the founder of ​Sunrise​, alongside the co-founders from ​Skype​, ​Box.com,​ ​Casper​, ​Soylent​, Oak,​ JUMP,​ and ​Freefly. Leading athletes including ​Drew Brees,​ ​Apolo Anton Ohno​, ​Shaquille O’Neil​, ​Jimmy Johnson​, Lance Armstrong,​ ​Manu Ginobili​, ​Nick Foles, Earl Thomas III ​and creators such as ​Will Smith and Keisuke Honda ​(The Dreamers Fund), author ​Neil Strauss,​ author ​Sam Harris,​ and Chef ​David Chang also joined the latest funding round. During 2018, Oura was as named one of the 31 hottest startups in the Nordics according to venture capitalists, as well as on Finnish business weekly Talouselämä’s most promising Finnish startups -list. Oura also won two Red Dot-awards, one for the ring and the second one for the design of the app. As far as trackers go, the OURA ring won me over early. […] The metrics are tremendously meaningful and I can use them to make positive changes. I believe Oura has identified a challenge that faces us all, namely getting enough high-quality sleep. Oura’s design and technology show tremendous craftsmanship, and now more consumers around the world will be able to get their own Oura ring.